Download Working on Macbook Mockup Template PSD. 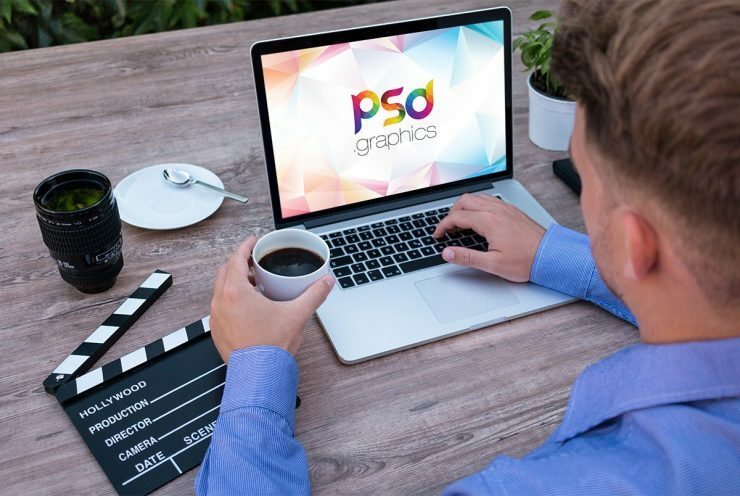 A free Macbook mockup template in which a man working on a laptop sitting on a wooden table while having coffee in a outdoor environment. This Macbook mockup is perfect for showcasing any web and ui design in a unique way. It is a photorealistic macbook mockup template and it contain smart objects to replace your designs in few simple clicks. Just add your own custom design on macbook screen and present your ui designs in a professional way. Hope you like this Working on Macbook Mockup Template PSD. Enjoy!